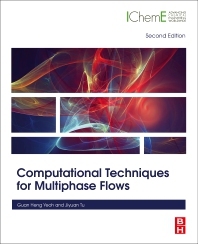 Computational Techniques for Multiphase Flows, Second Edition, provides the latest research and theories covering the most popular multiphase flows The book begins with an overview of the state-of-the-art techniques for multiple numerical methods in handling multiphase flow, compares them, and finally highlights their strengths and weaknesses. In addition, it covers more straightforward, conventional theories and governing equations in early chapters, moving on to the more modern and complex computational models and tools later in the book. It is therefore accessible to those who may be new to the subject while also featuring topics of interest to the more experienced researcher. Mixed or multiphase flows of solid/liquid or solid/gas are commonly found in many industrial fields, and their behavior is complex and difficult to predict in many cases. The use of computational fluid dynamics (CFD) has emerged as a powerful tool for understanding fluid mechanics in multiphase reactors, which are widely used in the chemical, petroleum, mining, food, automotive, energy, aerospace and pharmaceutical industries. This revised edition is an ideal reference for scientists, MSc students and chemical and mechanical engineers in these areas. Includes updated chapters in addition to a brand-new section on granular flows. Features novel solution methods for multiphase flow, along with recent case studies. Explains how and when to use the featured technique and how to interpret the results and apply them to improving applications. Chemical and mechanical engineers, especially in filtration, separation, gas/ liquid pumping, aerospace, automotive and energy industries. MSc students and researchers in chemical and mechanical engineering.